One hundred years ago, it was quite an event even to speak about the presence of women in science—particularly in physics—and the results they arrived at. In our day, however, more and more women are taking first place on the scientific stage as researchers, professors, school teachers, and models for the younger generation. The outstanding work of women in physics research has achieved major visibility in high impact publications on hot topics, including the study of materials down to the atomic scale; luminescence; crystal growth; astrophysics and space research; and computational methods. Women are shining in science and their work has led to many breakthroughs being brought to the spotlight. Here, we are delighted to introduce you to some very recent, novel work of women physicists that has contributed to the advance of this discipline and related fields. Chiara La Tessa (NSRL, USA) describes the state of the art of ground-based programs in the USA where the radiation environment in space can be simulated in order to assess risks related to radiation exposure and to find effective countermeasures. The NASA Space Radiation Laboratory (NSRL) research program started in 2003 and has achieved outstanding results that include: determining the effects of rapid changes in ion species and energy; developing a large beam spot that allows simultaneous exposure of numerous samples; and improving the accuracy of dose delivery through precise external control of the beam cut-off and good uniformity of radiation field intensity. Since November 2016 she has been working at the University of Trento (Italy), where she was offered a tenure track. Since January 2017 she has been associated to the National Institute of Nuclear Physics (INFN), working at the Trento Istitute for Fundamenta Physics and Applications (TIFPA). The nanostructural mechanisms that govern the properties of complex multifunctional materials down to the atomic scale is a challenging topic covered in a paper by Maryvonne Hervieu (CRISMAT, France) and her co-workers. In it, they demonstrate that the 3D flexibility of ferrites can be achieved and controlled through strain engineering induced by oxygenation or high pressure. While the basic [LuFe2]∞ frame remains unchanged, the layered LuFe2O4 ferrites undergo polymorphisms, polytype transitions and metastable phase changes. Renata Reisfeld and Viktoria Levchenko from the Hebrew University of Jerusalem, Israel, along with co-workers from Verona University, Italy, have demonstrated clearly and convincingly how new composite luminescent materials can be used successfully in highly efficient lighting systems. Thus, copper nanoparticles synthesized at 80°C and incorporated in a polymeric matrix with a luminescent Eu3+ complex results in an increase of luminescence due to the interaction of luminescent species with surface plasmons of these nanoparticles. "Asymmetric Dark Matter: Theories, signatures, and constraints," by Kathryn M. Zurek from the University of Michigan, Ann Arbor, USA, is a solid, theoretical review of Asymmetric Dark Matter (ADM), its cosmological implications, and its detection. The different sections of the review discuss general mechanisms for transferring or generating asymmetry in dark matter content; phenomenological implications from the constraints imposed by neutron stars, brown dwarves, and the Sun; and their impact on the presumed properties of ADM that have been identified directly and indirectly from experiments at CERN’s Large Hadron Collider. [Kathryn M. Zurek, "Asymmetric Dark Matter: Theories, signatures, and constraints," Physics Reports 537 (2014) 91–121]. Women are contributing more and more to solving the many challenges that our society faces and are playing a key role in leading breakthrough scientific research in many areas! Thank you to all those who commit their time and knowledge to advancing science; we look forward to continuing to work with you. Maria de Fátima Montemor is Full Professor at the Department of Chemical Engineering, Instituto Superior Técnico, Lisbon, Portugal. Her scientific activity focuses on the development of new functional coatings for protection from corrosion and electrodeposition of conductive coatings for energy conversion and storage. Her most relevant research lines include multifunctional self-healing coatings for surface protection and new metal compound redox conductive coatings for energy storage. M.F. Montemor is an Editor of Applied Surface Science. Maria Dinescu is Full Professor and Group Leader for “Photonic Processing of Advanced Materials” at the National Institute for Lasers, Plasma and Radiation Physics in Magurele (Bucharest), Romania. Her research achievements are in laser materials processing, i.e. the deposition and characterization of thin films and heterostructures (ferroelectric materials, multiferroics, multifunctional oxides and oxynitrides); soft material processing (MAPLE, 2PP-DW); laser patterning and printing (LIFT). 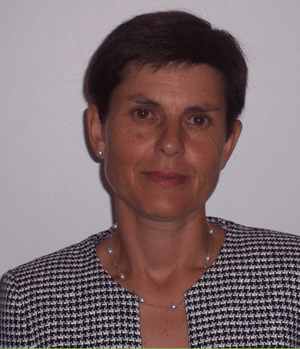 Maria Dinescu is an Editor of Applied Surface Science. We are delighted to bring you our third Virtual Special Issue on Women in Physics and encourage you all to download and read it for free for the next 12 months. We would like to take this opportunity to thank all these outstanding scientists for the ongoing success of our Physics journals; we look forward to continuing to work with them. Barbara Albert is professor for solid state and materials chemistry at the Technische Universität Darmstadt, Germany, since 2005. From 2007 till 2011 she was head of the chemistry department. 2012-14 she was president of the German Chemical Society. Barbara Albert is European editor of Solid State Sciences (Elsevier), and serves on the supervisory boards of Evonik Industries and Schunk group. In 2015 she was elected into the reviewer panel of the German Research Foundation, and in 2016 into the Berlin-Brandenburgische Akademie der Wissenschaften. Her background is inorganic chemistry, and she received her PhD at the Rheinische Friedrich-Wilhelms-Universität Bonn in 1995, working with Professor M. Jansen, followed by research at the Materials Research Laboratory at the UC Santa Barbara, U.S.A. (Professor A. K. Cheetham), and at the Justus-Liebig-Universität Gießen (Professor J. Beck). Her awards include a grant from the Alexander von Humboldt foundation, a Lise-Meitner grant, the ADUC, and the Bennigsen-Foerder awards. Chantal Andraud is head of Chemistry Laboratory and leads the group “Chemistry for Optics” in ENS-Lyon. In the group, molecules (organic and coordination complexes of transition metals and lanthanides) presenting a high response in optics or nonlinear optics are designed. In this last field, targeted applications are electro-optic modulation and different two-photon absorption related applications from the visible to the IR (bio-imaging, 3D photopolymerisation, optical limiting in the visible and near IR and at telecommunication wavelengths, photodynamic therapy). Chantal Andraud has over 195 publications and works in close collaborations with different groups of chemists and physicists in France, Romania, Norway, Sweden, UK, Canada, USA, Japan, and Korea. She is SPIE fellow and Doctor Honoris Causa of University Politehnica of Bucharest (Romania). Jo Bartlett is an experimental physicist and is currently a Senior Researcher at the Mullard Space Science Laboratory, University College London (UCL), where she has held a position since obtaining her PhD in Cryogenic Physics from UCL in 2008. Prior to this she received an MSci in Physics with Space Science from UCL in 2004.Her research focuses on designing and developing novel, miniature (low mass, low power) Adiabatic Demagnetization Refrigerators (ADRs) to provide millikelvin temperatures. Typically ADRs are used to cool single photon detectors for space and ground-based astronomy, however these new miniature coolers also have the potential to be an enabling technology for other research areas including quantum and medical research. Dr Bartlett’s miniature ADR research was awarded the Cryogenics best paper award 2015. Luisa E. Bausá is Full Professor at the Materials Physics Department of the Universidad Autónoma de Madrid where she is heading the Laser Spectroscopy Group. Her research has been centered in the field of optical spectroscopy of solids and nonlinear properties of materials mainly directed towards the development of multifunctional solid state lasers. Recently, her activity focuses on the study of plasmon-assisted solid-state-lasers and plasmon-assisted frequency conversion process to develop coherent optical sources at the nanoscale. She is an Editorial Board member of Journal of Luminescence. Luciana Bianchi is a Research Professor in the Dept. of Physics and Astronomy of the Johns Hopkins University (Baltimore,USA), where she moved in 1996 after holding positions at the Space-Telescope Science institute, the European Space Agency, and Italian institutions. Her research focuses on massive stars and hot white dwarfs in the Milky Way, stellar populations in nearby galaxies, star formation and dust. She has been leading numerous observing programs with IUE, FUSE, GALEX (past), HST (Hubble), UVIT and large ground-based telescopes (current), and theoretical modeling. She was core-designer and science co-Investigator of GALEX, the NASA mission (2003-2013) which performed the first surveys of the sky at UV wavelengths, filling the last gap to complete our view of the universe across the electromagnetic spectrum. She leads the "UVsky" project, the first comprehensive view of the sky at Ultraviolet wavelengths, through classification and characterization of hundred millions UV sources with corollary data at other wavelengths, and UV time-domain studies. She served in evaluation and selection processes for NASA, the European Research Council (European Commission), and other national space agencies and science foundations across the world, including the Russian Science Foundation. In addition, she advocates multi-disciplinary synergy and fosters connections that may bring benefits to society, culture and education. She served for many years in NASA's SMD (Science Mission Directorate) Forums to advise and help develop strategies for maximizing the spinoff from science and technology towards improving formal and informal education. Luciana Bianchi is a member of the International Astronomical Union (IAU), the American Astronomical Society (A.A.S. ), the European Astronomical Society (E.A.S. ), and the Sociedad Española de Astronomía (SEA). Florence Birol is a Professor at the LEGOS Lab form the University of Toulouse since 2017, where she also received her PhD in 1999 and started her career there short after. Her fields of interests are all related to data and oceanography; more specifically to Development of altimetric data tools and applications dedicated to coastal areas, Environmental satellite data analysis, Coastal physical oceanography, and Data analysis in physical oceanography for the study of currents, waves and sea surface height variations. Edith Bourret, Senior Scientist at the Lawrence Berkeley National Laboratory, holds a Doctorate degree in Physics of Materials from the University of Montpellier, France and a MBA from Boston University, has authored or coauthored over 140 publications and hold 6 patents. Her scientific work covers various aspects of synthesis, crystal growth and structural, optical and electrical characterization of a variety of materials. She has been involved in research on ceramics, composites and various aspects of crystal growth, from large bulk semiconductors crystals to thin epitaxial films and nanocrystals and fibers. She is currently involved in research and development of new scintillators for national security and medical imaging and in synthesis of quantum materials. She leads the detector group and currently a Multi-Lab Project sponsored by DOE/NNSA/DNN R&D for development of detector materials and participates in a European consortium led by CERN, Switzerland, for development of materials for the next-generation hadron colliders. Julie grew up in outback Australia in the town of Broken Hill and studied Materials Science and Engineering at UNSW under a scholarship from Pasminco (the company that ran the mines there). 7 years later, in 2002, she was awarded a PhD (Physical Metallurgy) from the same department. The next few years were spent working as a researcher at the University of Birmingham, UK and the Max Planck Institute for Metals Research in Stuttgart, Germany, before returning to Australia. She is currently working as an Associate Professor at the University of Sydney, Australia in the Australian Centre for Microscopy and Microanalysis. She is an expert in the study of materials using advanced microscopy techniques that can image matter down to the atomic scale. The microstructure can then be related to the properties of the material, and careful control of the microstructure can be used to engineer materials with desirable properties. She leads a research program investigating the relationship between the microstructure and properties of advanced materials such as superalloys, steels and hard coatings. This work contributes to the development of stronger, lighter materials that require less energy to process for structural applications in aerospace, construction and manufacturing industries. She is an Editorial Board member of Ultramicroscopy. Aleksandra B. Djurišić obtained Ph. D. degree in Electrical Engineering from the School of Electrical Engineering, the University of Belgrade in 1997. She joined the Dept. of Physics at the University of Hong Kong (HKU) in 2003 as assistant professor and she is currently a professor in Dept. of Physics and Associate Dean (Research) in the Faculty of Science, HKU. Her research interests include nanomaterials, wide-bandgap semiconductors, and organic materials, and their applications in areas related to energy and environment, such as photocatalysis, antimicrobial materials, solar cells, and batteries. She has published 330 research articles, and has been cited over 13500 times. Her h-index is 52. Anna Franckowiak currently holds a staff scientist position at DESY, Zeuthen in Germany. She studied at University of Wuppertal in Germany and finished her PhD at University of Bonn in 2011. Anna Franckowiak continued her research as a research associate at KIPAC and the SLAC National Accelerator Laboratory. In 2015, she moved to DESY, where she is leading a Helmholtz Young Investigator Group since 2016. Her research interest is focused on multi-messenger astronomy. She works with neutrino, gamma-ray and optical data to study possible cosmic-ray accelerators such as Supernovae, Novae, Active Galactic Nuclei and Tidal Disruption events. Maryvonne Hervieu (CRISMAT), Professor Emeritus, she spent her research career in the CRISMAT, where she had the responsibilities of the « new materials » group and the « centre of electron microscopy ». Her research experience focuses in oxides characterization with a particular interest to structural and nanostructural mechanisms, using TEM. Dr. Huang received her B.E. and M.E. degrees from Zhejiang University, China in 1996 and 1999, and a Ph.D. degree from the University of Illinois at Urbana-Champaign in Materials Science and Engineering in 2004. She did her postdoctoral work at the University of Michigan and North Carolina State University before joining the faculty at RPI in 2008. She won the Norbert J. Kreidl Award, the highest honor bestowed upon a student by the Glass and Optical Materials Division of the American Ceramic Society in 2003. In 2009, she was a recipient of the Defense Treat Reduction Agency (DTRA) Young Investigator Award and the RAMP-UP Career Campaign Award from Rensselaer. In 2013, she won the National Science Foundation CAREER award and the Alfred H. Geisler Memorial Award from the Eastern NY ASM Chapter. Marianne K. Köpf studied Chemistry at Technical University of Munich with a strong emphasis on inorganic solid state reactions. During her masters and PhD, she focused on optimizing procedures for synthesis of black phosphorus and mixed phosphorus-arsenic phases with small band gaps. After her PhD, she decided in 2015 to leave research. Since then she is working as science manager at Technical University of Munich, ensuring quality of education in science and technology. Chiara La Tessa started her career in physics in 2003 when she graduated at the University "Federico II" of Naples (Italy). The passion for research brought her around the world: graduate school at Chalmers University (Goteborg, Sweden), a first postdoc at the University "Tor Vergata" of Rome (Italy), followed by a second postdoc at GSI (Darmstadt, Germany), which evolved into a tenured position. In 2013, she moved to Brookhaven National Laboratory (NY, US) to work at the NASA Space Radiation Laboratory (NSRL) as a one-year contract as a visiting scientist. This appointment was turned into a full position at the end of 2014. Since November 2016 she has been working at the University of Trento (Italy), where she was offered a tenure track. Her scientific effort addressed the role of radiation in space radioprotection and cancer therapy, focusing on the characterization of nuclear processes of interest in those fields. Professor Kei May Lau is Fang Professor of Engineering at the Hong Kong University of Science and Technology (HKUST). She received the B.S. and M.S. degrees in physics from the University of Minnesota, Minneapolis, and the Ph.D. degree in Electrical Engineering from Rice University, Houston, Texas. She was on the ECE faculty at the University of Massachusetts/Amherst and initiated MOCVD, compound semiconductor materials and devices programs. Since the fall of 2000, she has been with the ECE Department at HKUST. She established the Photonics Technology Center for R&D effort in III-V materials, optoelectronic, high power, and high-speed devices. Professor Lau is a Fellow of the IEEE (2001), a recipient of the US National Science Foundation (NSF) Faculty Awards for Women (FAW) Scientists and Engineers (1991), Croucher Senior Research Fellowship (2008), and the IEEE Photonics Society Aron Kressel Award (2017). She is an Editor of the IEEE EDL and Associate Editor of Applied Physics Letters. Maria Lukacova is Full Professor of Applied Mathematics at the University of Mainz since 2010. Before that she was a Professor at the University of Technology in Hamburg-Harburg. She received her Master in Mathematics and Informatics (with Honors) at the Safarik University in Kosice, Slovakia and her PhD in Mathematics at the Charles University in Prague, Czech Republic. Her PhD thesis was awarded by the Prize of Prof. Ivo Babuska. She works on numerics and analysis of partial differential equations with applications in fluid dynamics. Her research interests span from multidimensional hyperbolic conservation laws through complex non-Newtonian fluids to biological problems such as fluid-structure interaction in hemodynamics or cancer growth. She was awarded by the Junior Prize of the Czech Learned Society (2002) and the Bronze Medal of the University of Kosice (2013) . She was Olga Taussky Pauli Fellow at the Wolfgang-Pauli Institute in Vienna (2011) and Simons Visiting Professor at the Polish Academy of Sciences in Warsaw (2017). She is currently acting as the co-speaker of the DFG Collaborative Research Center TRR 146 "Multiscale Simulation Methods for Soft Matter Systems". Maria Lukacova is an associated editor of Applied Mathematics and Computation. Joanna McKittrick is a Professor of Mechanical and Aerospace Engineering and the Materials Science and Engineering Program at the University of California, San Diego since 1988. She is co-director of the Center for the Center for Biological, Bioinspired and Biomaterials. She received her B.S. in Mechanical Engineering from the University of Colorado, a M.S. in Materials Science and Engineering from Northwestern University and a Ph.D. from the MIT. Her research is in two main areas – luminescent materials and biological materials science. For the luminescence research, she investigates phosphors for solid-state LED lighting, focusing on the discovery of new compositions, increasing the quantum efficiency and improving the thermal and chemical stability. For the biological materials research, she investigates the structure/property relationships in natural materials and translates this knowledge into functional bioinspired designs. After a PhD in physical chemistry, Rotraut Merkle joined the Max Planck Institute for Solid State Research. Her research interests range from fundamental aspects of point defects and transport in ionic solids to investigations of reaction kinetics at oxide surfaces, and extend also to solid oxide fuel cells, gas sensors and heterogeneous catalysis. She is a member of the Editorial Board of the journal Solid State Ionics. Dr. Lidia Oskinova has received PhD in astronomy while being a Royal Society/NATO fellow at the University of Glasgow (UK). Her interests include X-ray astronomy, stellar winds, and feedback from massive stars. Currently she is leading her own research projects at the University of Potsdam (Germany). Dr. Oskinova is the author of more than 110 peer-reviewed publications, and a principle investigator of many observing programs with major ground based and space borne telescopes. After completing her Ph.D. in Geoarchaeology in 1989 at the Hebrew University, Naomi Porat did a post-doc at McMaster University on ESR dating of tooth enamel from prehistoric sites. In 1994 she established the luminescence dating lab at the Geological Survey of Israel, where she is still positioned. Since then her research focuses on luminescence dating of Quaternary sediments, including topics such as past geological hazards (earthquakes, floods, tsunami, landslides), paleoclimate and landscape evolution. She is deeply involved in establishing the chronology of Paleolithic sites in Israel and elsewhere. Currently she heads the Geochemistry and Environmental Geology Division. Ileana Rău graduated in 1994 from the University POLITEHNICA of Bucharest, Romania. She has obtained her PhD degree in 2002 at the same university. She has spent several years as PostDoc, first at French Atomic Energy Commission (CEA) Laboratory in Saclay and then at Angers University, where she received the Habilitation Degree (Dr.Sc.) in Physics in 2007. She was invited Professor at Ecole Normale Superieure de Lyon in 2010. In 2013, she received another Habilitation Degree in Chemical Engineering. Currently Ileana Rău is Professor at Faculty of Applied Chemistry and Materials Science, University POLTEHNICA of Bucharest, Romania. 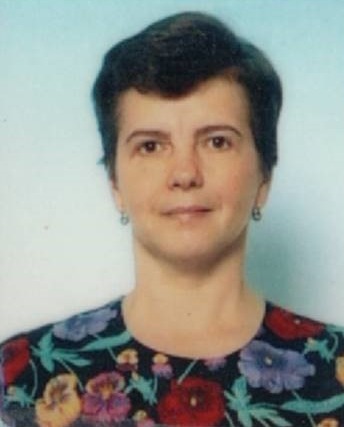 Ileana Rău has made significant contributions to the development of optical materials science and to understanding of linear and nonlinear optical properties of organic and biomaterials as well as their applications in photonics and biophotonics. She made also important contribution in popularizing nonlinear optics and materials science through organization of international conferences, workshops and editorial services. Ileana Rau is Associate Editor Applied Optics, Fellow of SPIE and member of SPIE Women in Optics circle. Joan M. Redwing received her Ph.D. in Chemical Engineering from the University of Wisconsin-Madison and joined the faculty of the Department of Materials Science and Engineering at Penn State University in 1999. She holds an adjunct appointment in the Department of Electrical Engineering and serves as the director of the 2D Crystal Consortium – Materials Innovation Platform. Her research focuses on crystal growth and epitaxy of electronic materials, with a particular emphasis on thin film and nanomaterial synthesis by chemical vapor deposition. Dr. Redwing currently serves as vice president of the American Association for Crystal Growth and is an associate editor for the Journal of Crystal Growth. She is a fellow of the American Physical Society, Materials Research Society, American Association for the Advancement of Science and is a senior member of IEEE. She is an author or co-author on over 270 publications in refereed journals with over 11,000 citations and holds 8 U.S. patents. Renata Reisfeld is an Israeli Professor of Chemistry and multi D.H.C., Professor of Solar Energy at Institute of Chemistry of the Hebrew University of Jerusalem, Israel, author of 540 scientific papers and 3 books cited more than 30,000 times.She is active for developing of luminescent solar concentrators for solar energy utilization. In 1993, she received an Honorary degree – Doctor Honoris Causa from the University of Lyon, France. In 1993, she was awarded the Medal for scientific achievement of Mayor Lyon, France. In 1998, she received an Honorary degree – Doctor Honoris Causa from the University of Bucharest, Romania. In 2005, she received an Honorary degree – Professor Honoris Causa from the Polish Academy of Science, Wrocław, Poland. In January 2018 Journal of luminescence has published a special issue in honor of Professor Renata Reisfeld for her outstanding contributions to luminescent inorganic glasses. Kathleen Richardson is Professor of Optics and Materials Science and Engineering at the University of Central Florida. She is a recognized international expert in infrared glass and glass-ceramic optical materials. Most recently, these efforts have included integration of chalcogenide materials onto silicon and flexible microphotonic platforms, evaluating radiation-induced structure/property modification mechanisms. Dr. Richardson has published more than 300 peer-reviewed publications, proceedings, book chapters and patents. She is a Past-President of the American Ceramic Society (ACerS), a past Director of SPIE, and the CTC of the International Commission on Glass. Dr. Richardson currently serves on the Advisory Board of the Savannah River National Laboratory and as a Curator to the Deutsches Stiftung’s Board of Trustees. She is a founding Trustee of the Ceramic and Glass Industry Foundation supporting education and training opportunities for ceramic and glass scientists and engineers, and is Fellow of ACerS, the Society of Glass Technology, SPIE and OSA. Birte Schmidtmann is currently a group leader at the Carl Friedrich von Weizsäcker-Centre for Science and Peace Research (ZNF) at the University of Hamburg, Germany. She received a Diploma in Applied Mathematics with minor in Physics and Computer Science from Technical University Kaiserslautern, Germany, in 2012 and a Research Master degree from the Von Karman Institute for Fluid Dynamics, Belgium, in 2013. She went on to receive a PhD from RWTH Aachen University in 2017 for her work on finite volume methods, focusing on high-order reconstructions and approximate Riemann solvers. Her research at ZNF now is mainly focused on the interplay between mathematical techniques and biological applications such as transmission of diseases, accidents, and intentional releases of pathogens. At the same time, she continues her research on numerical methods for hyperbolic conservation laws. Professor Angela Seddon leads the Mid-Infrared (MIR) Photonics Group in the Faculty of Engineering, University of Nottingham, UK. Her vision is to enable a new paradigm in MIR portable, real-time medical imaging, including for in vivo cancer diagnosis, using novel fibreoptics. Prof Seddon’s seminal 1995 papercited 449x rekindled interest in MIR glass photonics. Fellowships from the Royal Academy of Engineering/Leverhulme Trust and Medical Research Council were awarded to initiate her biophotonics’ research. Her Optics Express review re-set ground rules for MIR fibre lasingcited164x and, with The Technical University of Denmark, her Group set a world record (held 6 months to 2015) demonstrating MIR-supercontinuum in fibre spanning 1.4 mm to 13.3 mm wavelengthNature Photonics, cited 341x. Prof Seddon is elected Fellow of SPIE (exceptional contribution to MIR photonics) and Fellow of Society of Glass Technology, Royal Society of Chemistry and Institute of Materials. She has 250 research publications, given 208 public lectures, including 81 invited. Alida Timar-Gabor is Associate Professor of Environmental Radioactivity at Babeș-Bolyai University, Cluj-Napoca, Romania, where she received her PhD in 2010. There she established and currently leads the Luminescence and Electron Spin Resonance Dating Laboratories. Her main research interests are in the field of solid state dosimetry with a focus on trapped charge dating methods and their application to Quaternary geological problems. She is the PI of a European Research Council grant (ERC-2015-STG, INTERTRAP 678106). The highlighted article presents results that are part of this project. Anna-Karin Tornberg is a professor in Numerical Analysis at KTH since 2012. Her research concerns the development of numerical methods for the solution of PDEs. One specific focus is on boundary integral methods for fluid flows involving particles and drops. She was recently (2014) awarded the Göran Gustafsson prize in Mathematics. She is an elected member both of the Swedish Royal Academy of Engineering Sciences (IVA) (since 2015) and of the Swedish Royal Academy of Sciences (KVA) (since 2010). Earlier awards include the selection as an Alfred P. Sloan research fellow (2006) while Prof. Tornberg was part of the faculty at the Courant Institute of Mathematical Sciences (New York University) as well as the Leslie Fox First Prize in Numerical Analysis (2000). Prof. Tornberg has been an associate editor for Journal of Computational Physics for eight years. She is scheduled to give an invited lecture at Interntational Congress of Mathematics (ICM) 2018. Olga Umnova holds the position of Reader in Theoretical Acoustics at the University of Salford, UK. She graduated from Moscow Institute of Physics and Technology with a degree in Physics and obtained her PhD in acoustics from Russian Academy of Science. At present, her main area of research is acoustics of porous materials, metamaterials and sonic crystals. She is the member of the editorial boards of Journal of Acoustical Society of America and Acustica united with Acta Acustica. Prof. Kerstin Volz is a Heisenberg Professor for Experimental Physics and Co-Leader at the STRL (Structure and Technology Research Lab) of Philipps University Marburg since 2009. She received her diploma in physics from Augsburg University in 1996. In 1999 she obtained her PhD from the same university. After several research visits at Osaka National Research Institute and Nagasaki Institute of Technology, as well as a postdoctoral stay at Stanford University, she joined Philipps-Universität Marburg as a Junior Group Leader. After a professorship at the Humboldt-Universität of Berlin, she was appointed as a full professor in Marburg. She serves there as speaker of the Research Training Group “Functionalization of Semiconductors”, which started in 2012. She is also the vice-coordinator of the collaborative research center “Structure and Dynamics of Internal Interfaces”. She has received the following awards: Graduate Student Award of EMRS (1996); Feodor-Lynen scholarship of Alexander von Humboldt foundation (2001); guest professorship of Humboldt Universität of Berlin (2008); Heisenberg professorship of DFG (2008); and the Patricia Pahamy Prize for best teaching (2009). Her research interests include the synthesis (MOVPE) and quantitative transmission electron microscopy of novel functional materials. Dr. Claudia Wickleder holds a chair of Inorganic Chemistry at the University of Siegen, Germany. She received her PhD from the University of Hannover in Physical Chemistry dealing with laser spectroscopy on supersonic beams, followed by a postdoc-stay at the University of Bern, Switzerland, under the guidance of Prof. Sam Leutwyler. She executed her habilitation at the University at Cologne. Currently, Claudia Wickleder´s researches focus on functional materials for optical applications: e.g. materials for general illumination (LEDs), photovoltaic materials, materials for security applications and medical sensing. In this context especially compounds doped with divalent lanthanides are investigated due their outstanding properties. Moreover, highly efficient materials are developed in nanostructured forms for applications in life sciences. Dr. Lingyu Yu received her Phd in 2006 and joined the Department of Mechanical Engineering at University of South Carolina in 2010. Currently she is an associate professor there, directing the Visualized Structural Health Monitoring laboratory. Her research interests span from advanced signal processing, sensor and sensing technology, smart materials, to structural health monitoring and nondestructive evaluation. She has been known for her work on quantitative damage evaluation in metallic and composite materials using phased array algorithms and wavenumber imaging. Recently Dr. Yu has focused her research on rapid inspection and non-contact guided ultrasonic waves sensing through laser technologies for advanced composite materials. Kathryn Zurek joined the LBNL theory group in 2014. She completed her PhD in 2006 at the University of Washington (with David B. Kaplan), and then became a postdoc at the University of Wisconsin, Madison. She was awarded the David Schramm fellowship at Fermilab in 2008 before becoming an assistant and then associate professor at the University of Michigan. In 2010, she was a recipient of an NSF CAREER award. 500 Women Scientists (@500womensci) - Over 20,000 women of STEM and supporters from more than 100 countries have signed in support of 500 Women Scientists, pledging to build an inclusive scientific community dedicated to training a more diverse group of future leaders in science and to use the language of science to bridge divides and enhance global diplomacy.